FRENCHMAN Louis Pouzin has been awarded his share of a £1m prize, alongside fellow internet pioneers including the inventor of the World Wide Web, Briton Sir Tim Berners-Lee. He spoke to Oliver Rowland about the crucial technology he developed in the 70s which France shelved in favour of the Minitel and the Americans used to launch the internet. 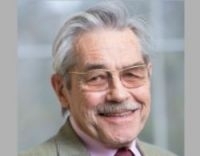 LOUIS Pouzin says he is “surprised and happy” to share the first Queen Elizabeth prize for Engineering, an award which rewards those responsible for a ground-breaking innovation in engineering that has been of global benefit to humanity. “It increases my visibility and reputation – the younger generation don’t tend to know their internet ancestors,” Mr Pouzin said of the prize, which it is hoped will come to be seen as equivalent to a Nobel Prize. His ideas, as the leader of the Cyclades project, formed the basis of TCP/IP – the protocols that enable data to be passed between the different networks that came to form the internet. Cyclades were sidelined by France in favour of the Minitel system and, although Mr Pouzin was made a chevalier of the légion d’honneur in 2003, he has not had the kind of public recognition accorded such “fathers of the internet” as Americans Vinton Cerf and Robert Kahn, who share his prize along with the creator of the first widely used web browser Mosaic, Marc Andreessen, and World Wide Web inventor Sir Tim Berners-Lee. Mr Pouzin is being honoured for heading the Cyclades project in the 1970s. The project investigated methods of sending data: splitting up files into packages that freely take the fastest possible route through communication networks before being put back together at the other end. After graduating from the Ecole Polytechnique engineering school in 1950, Mr Pouzin worked for a telephone company, before his interest in IT was sparked by seeing electronic calculators at an exhibition. He applied to a French computer firm Bull. “I started working on equipment using punch-cards, punch tape and the early electronic machines. Back in France he worked in IT for the car industry and for Météo France. “It was the start of the 1970s and I got calls from old colleagues who told me the govern-ment wanted to develop a network in France,” he said. “In 1971, I was called to develop an experimental French network with government money. I was excited because it was new, and I visited America to understand their design. Arpanet was designed to send packets through a single network in sequence.“I said we will develop a packet network that can be interconnected with others. We will assume that, in the future, there will not be a communications monopoly, there will be as many networks as countries and as many operators and we assume the networks are not reliable. Today this is vital to the internet because it means you can “build a reliable system from unreliable components,” he said. However the PTT considered Pouzin’s project, named Cyclades, “absurd”. It objected to communication networks being considered unreliable and thought introducing it would mean them losing part of their power. The government of 1973 believed Cyclades was more advanced than the ideas of the PTT, however after the election of Valéry Giscard d’Estaing attitudes changed. Government support for Cyclades, whose principles of sending data in packets over unreliable networks became a foundation of the internet, was withdrawn and the project eventually foundered. “Giscard d’Estaing was not technically knowledgeable – but his advisers were linked to French telecoms company CGE, which was opposed to us [for commercial reasons].” The PTT went on to develop Transpac, a communication system based on different protocols, that would be used by the French-developed Minitel terminals. He could not have imagined today’s internet, he said: “We were busy making things work and debugging and weren’t thinking that far ahead. As for today’s internet, he said: “It’s fantastic that I can have all kinds of information without going out of my home, but I’m not pleased with the lack of security on the internet. The architecture was designed in the 1970s to be experimental – and still is; for communication, but not with security in mind. It’s not standardised and it’s quite chaotic because it’s not open, it’s proprietary and if, for example, you connect to your bank or social security system, you have no idea how they protect your information. As for the future, Mr Pouzin foresees more fragmentation of the internet, with countries taking more control of what people access in their areas. “The Chinese have become independent from the American network and the Russians can too. There’s a strong political will in a number of countries. It will happen no matter what we do. He said there is a lack of political will to make changes: Europe is “lagging behind” due to disagreements between countries and financial crisis, while America prefers the status quo, thinking making changes might “open a Pandoras box”.